Hutchings Computer Lab: We Are The Champions! We did it 5th graders! 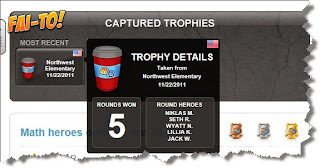 We captured the Mangahigh.com Fai-To trophy from Northwest Elementary! What a great math Fai-To. 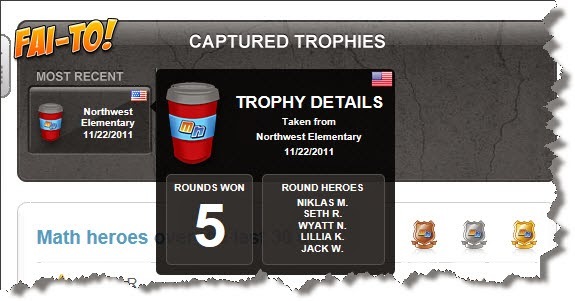 Hutchings defeated Northwest 5 rounds to 4 rounds for the victory. Every student that participated in our Mangahigh smackdown should be proud!